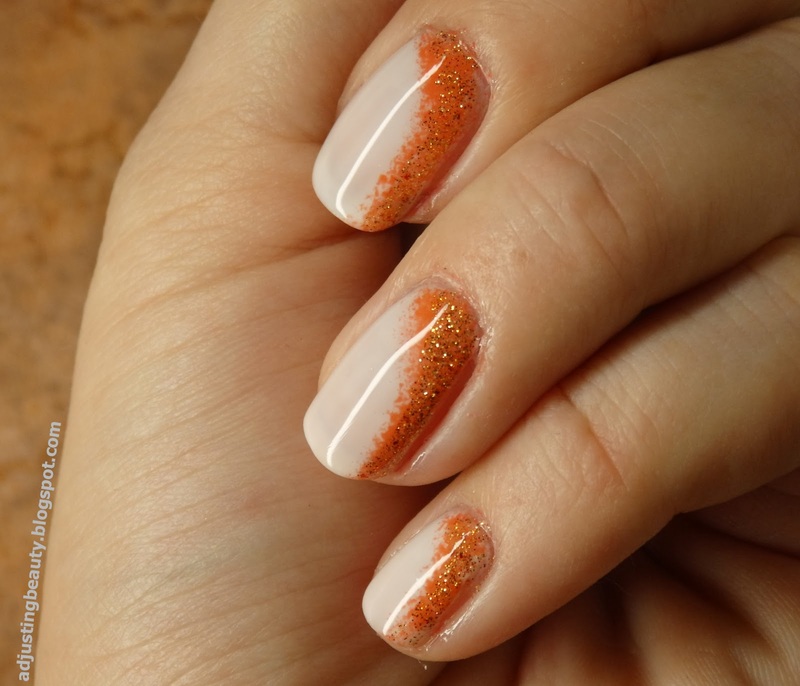 I wished for some sparkle in my manicures and so I did this very easy fall inspired sparkling nail design. It reminds me of pumpkin, just because of the orange nail polish :). For the base I used white nail polish (Maybelline Colorama in 51). 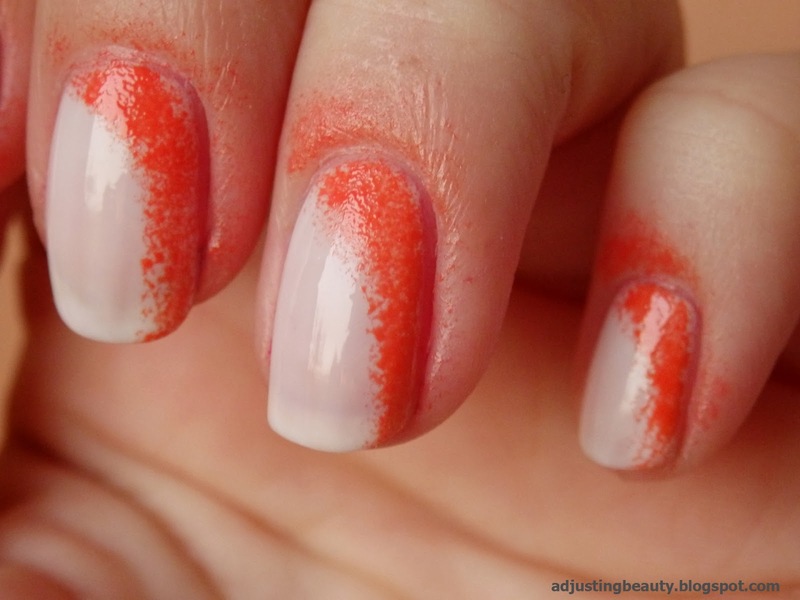 Then I took a sponge and padded on bright orange nail polish (Revlon in 140 Siren), but just around one side of the nails. On top of that I added some sparkle. 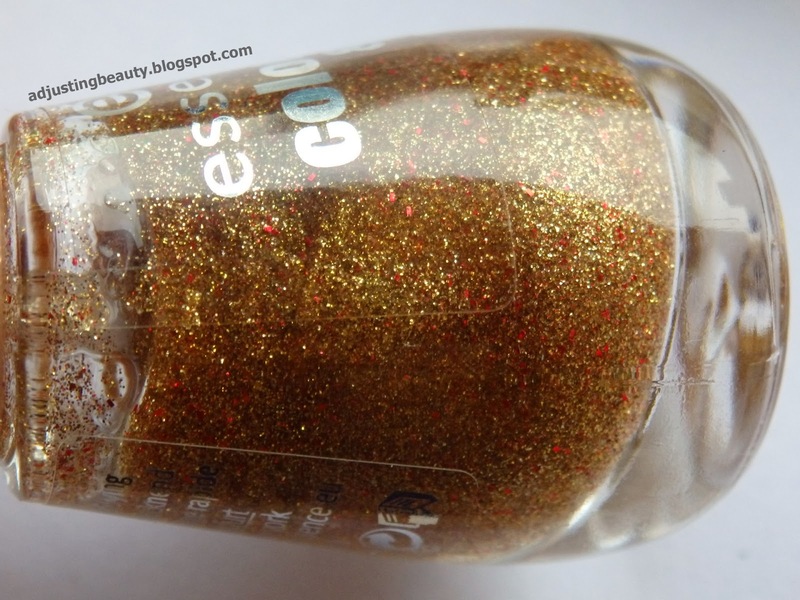 I used nail polish with gold and red glitters (Essence in 121 gold fever). 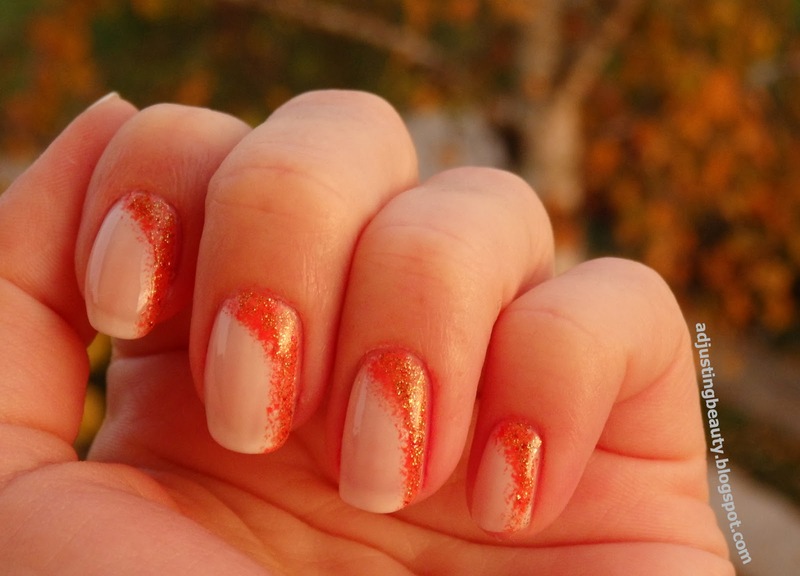 Really easy, but I think it looks perfect with the fall leaves sparkling in the sunset light :).